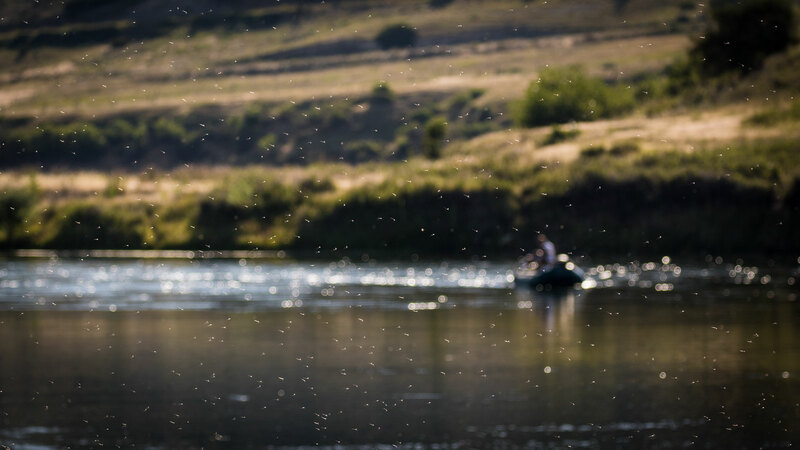 This trip of ten nights and ten days, offers up an of amazing array of dry fly fishing across three states. There are nine days of guided fishing included in the package. 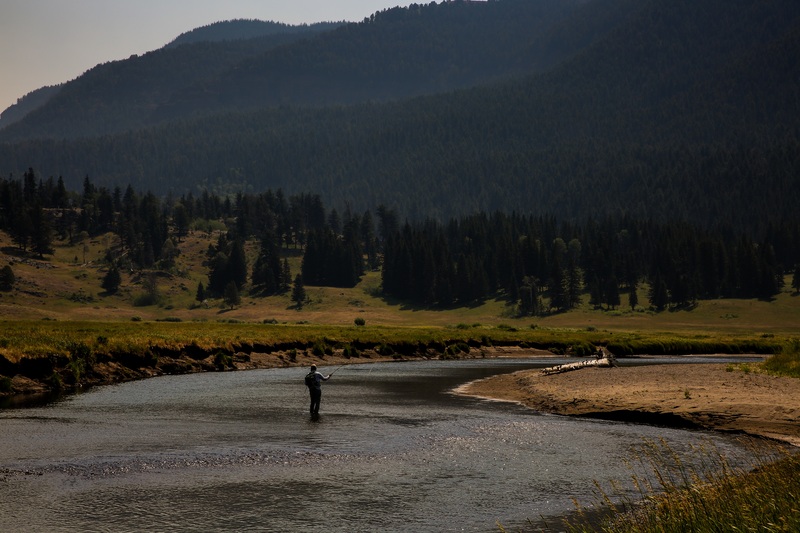 Some of the rivers fished include the Missouri, Beaverhead, Madison, Yellowstone, Bighorn, South Fork of the Snake, the Teton, Snake, Green, Gallatin, the Henry’s Fork; as well as many, many more. We provide you with the guides, accommodation and transport. All you need to do is get yourself there. 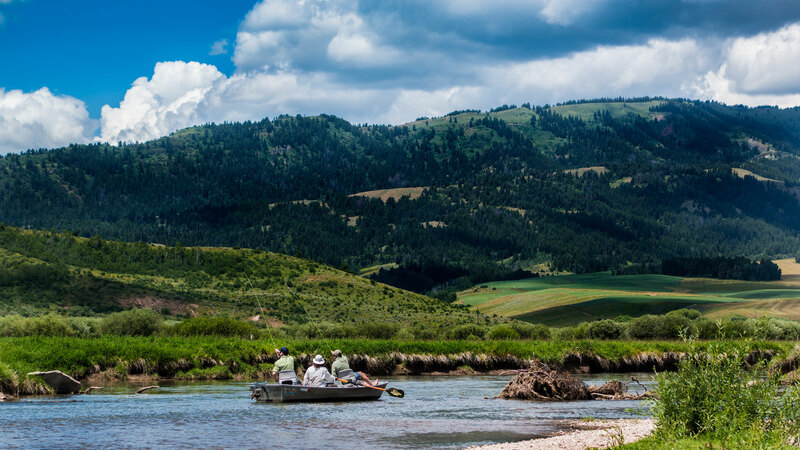 This trip will offer up a feast of dry fly fishing opportunities, falling as it does at the very peak of the high-summer fishing season. It is suitable for fly fishers of all ages and experience levels, and if you can’t bring a friend with you; we will find someone suitable to pair you up with. This trip is popular for couples, with two husband/wife pairings attending in 2017 and three the year before. Family groups have also been popular since we began visiting Montana with groups in 2010. In 2019, we are following up on the new trip format that worked so well in July of 2018. Essentially, this is a fishing road trip, and we will go wherever the fishing is best at the time, securing hotel accommodation and guides on the go. 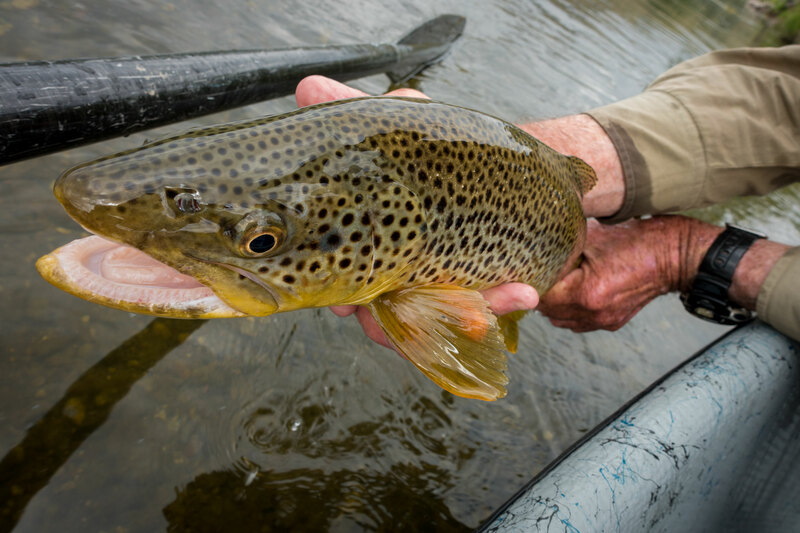 By utilising our extensive network of local contacts, we can keep in touch with the fishing across the region and remain mobile, that way ensuring that we only fish the rivers that are fishing well when we are there. The problem with visiting this part of the USA in summer is that fly fisherman from all over the country (and the world!) 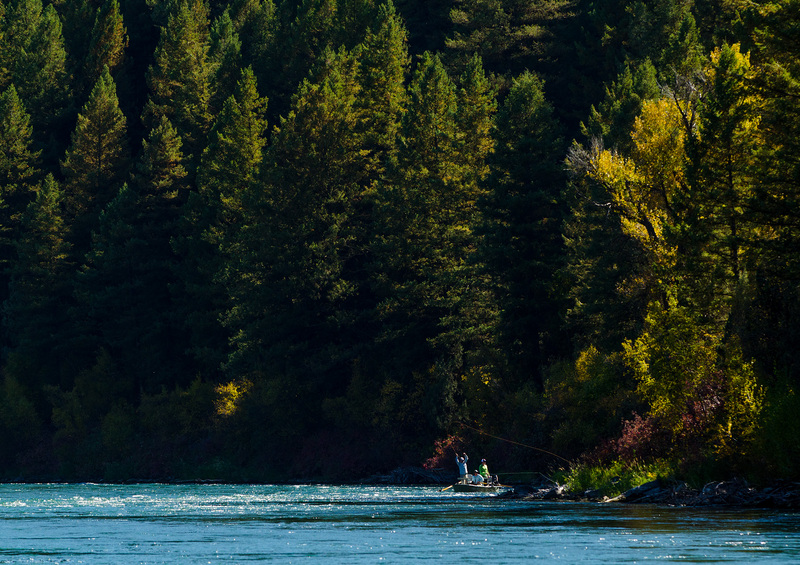 descend on the region looking to fish these legendary rivers. This makes it necessary to book guides and accommodation a year in advance, and punt on the water conditions, with no way of accurately determining how it will be fishing at the time. This is the advantage of booking one of our trips. 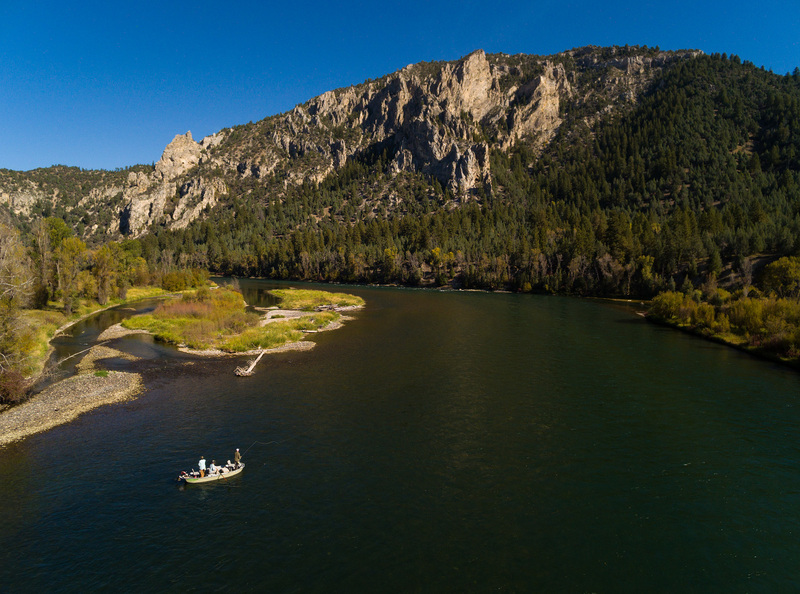 Tiny group sizes allow us to move from place to place, and by utilising all of our contacts in the industry across Montana, Idaho and Wyoming, we can put you onto the best fishing at the time of your trip. 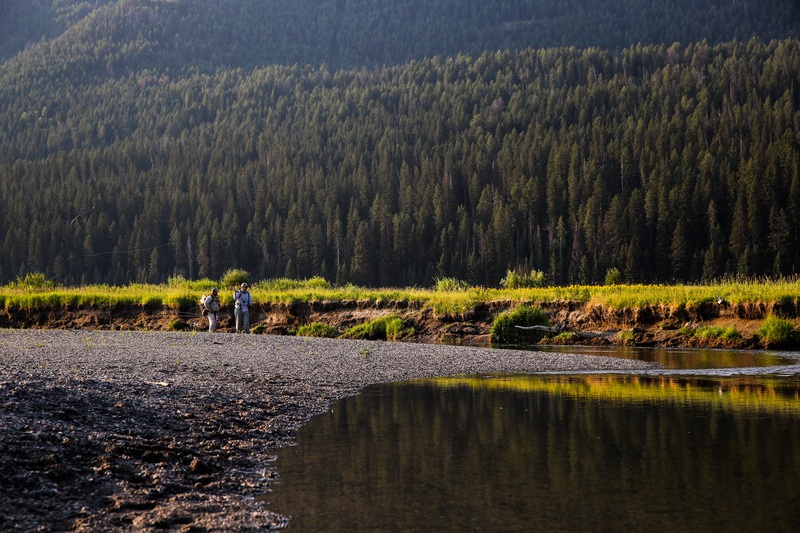 Aside from the rivers already mentioned, the opportunity to fish Yellowstone National Park is available. 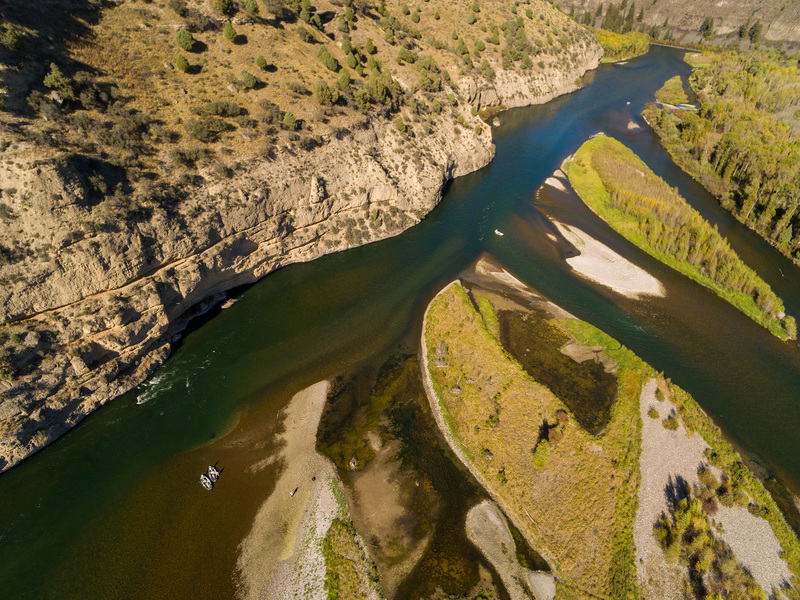 Streams such as Slough Creek or the Lamar River, two of the most scenic and highly regarded trout fisheries in the USA, rank high on most fly fisher’s bucket lists, and we can put you on these amazing rivers should you wish to explore some of that the park has to offer. 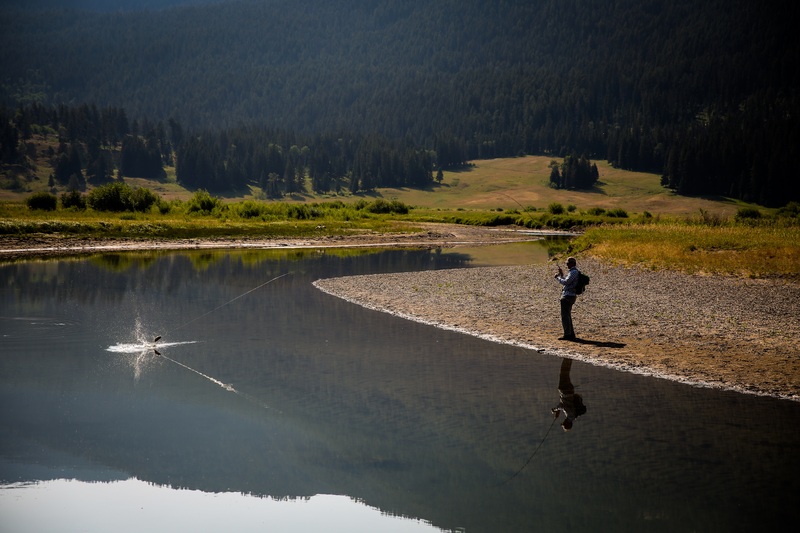 There are dozens of fishing options within a short drive of all the locations we visit; with spring creeks, tailwaters, meadow streams, pocket-watered canyon-walled rivers, and high country lakes a possibility. For those wanting to fish till they drop, there are endless amounts of water to explore. We can fish early and stay out late, or even do two drifts in a single day to take in the evening rise. There are no hard and fast rules as to where we go and what we do, and the pace of these trips will be dictated by the needs and wishes of those who book. For those wanting have a ‘holiday’ as well, there are many non-fishing related activities to indulge in. Yellowstone National Park is never far away and provides a very interesting 1-2 day tour via the loop roads. 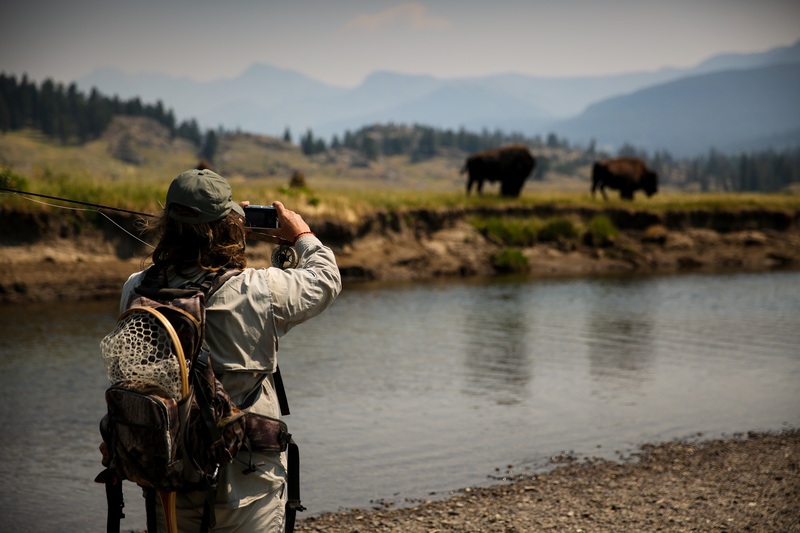 Bring your binoculars and spot bison, deer, elk, grizzly bears, ospreys and bald eagles and pack a rod to explore any enticing pieces of water that we cross along the way. 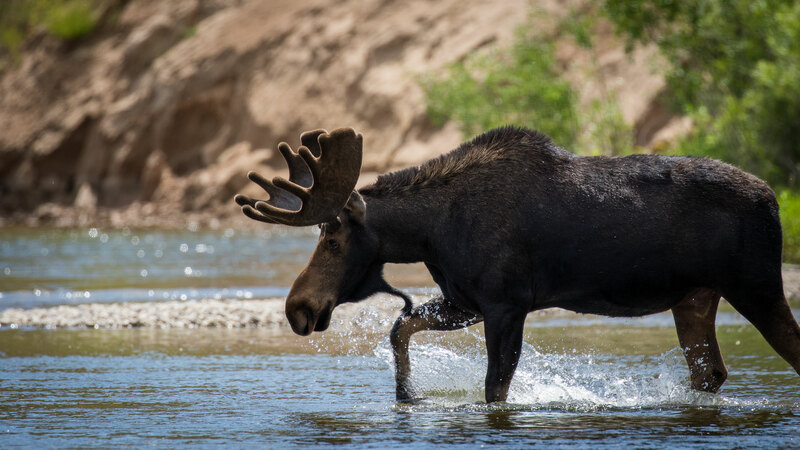 There are also numerous nearby attractions with the Lower Mesa Falls, Chico hot springs, the towns of Jackson Hole and Bozeman, the battlefield on the Little Bighorn (Custer’s Last Stand), the Grand Teton National Park; as many, many more points of interest. 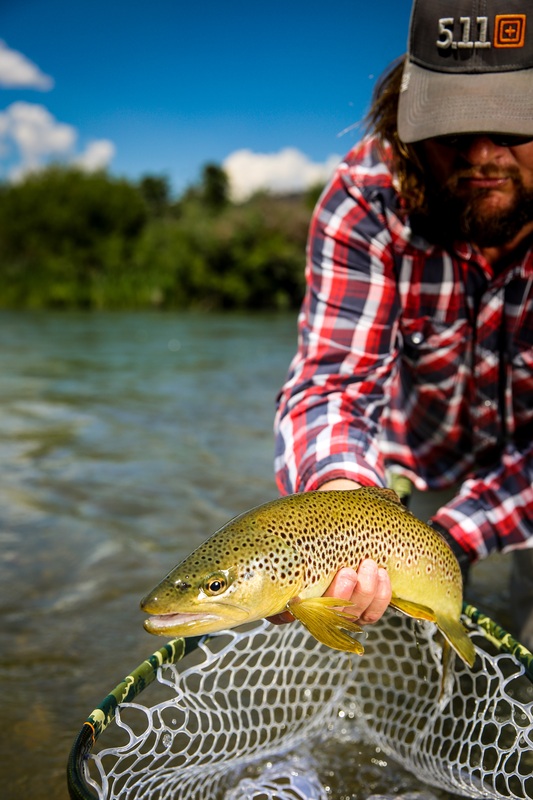 One of the trip leaders, Bo, with a beautiful Montana brown taken on the drift. Meals are not included in the price, and we tend to self-cater as the homes we stay in have full kitchens. Breakfasts and lunches can be prepared at home, as can some dinners. Most evenings we tend to eat out at restaurants and bars in the areas that we fish. 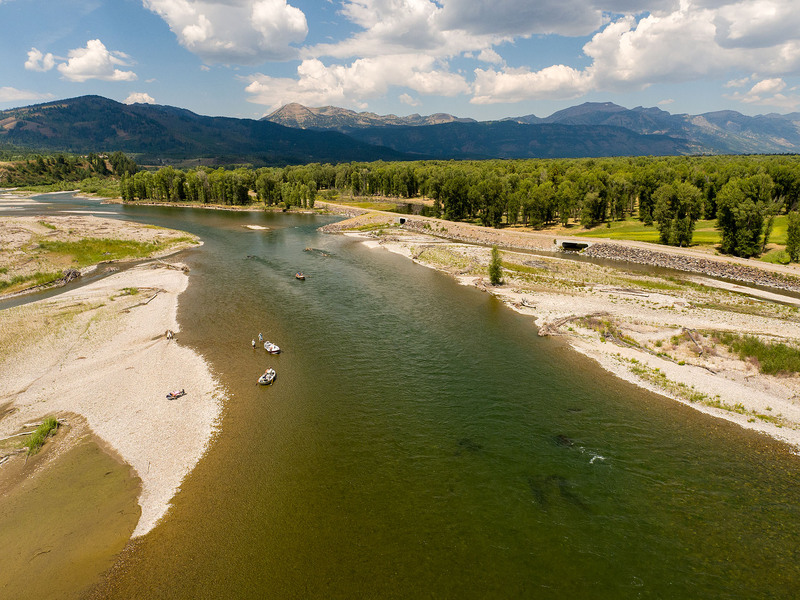 All of the rivers we fish have healthy populations of either wild cutthroat, brook, brown and/or rainbow trout; so this is a trip suitable for everyone. Beginners will find that they catch plenty of fish and advance their skills much more quickly than when fishing the tougher waters back home in Australia. 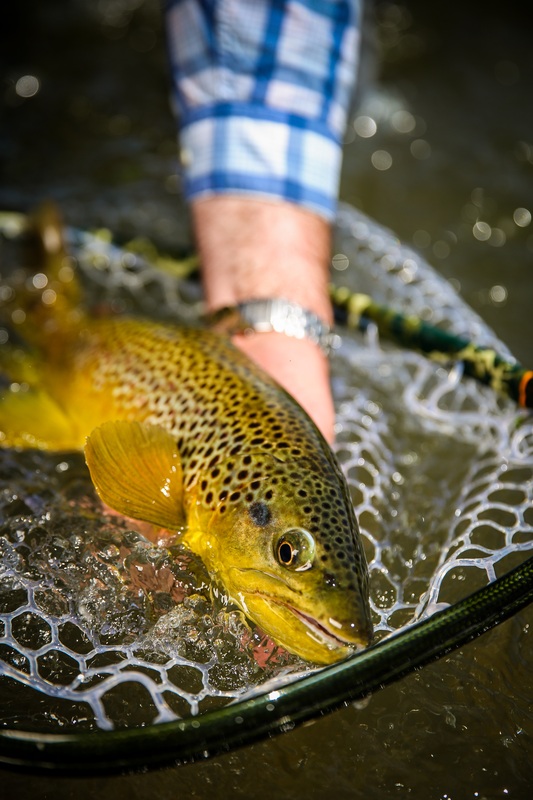 In the past we’ve had an equal number of beginners/experienced fly fishers in the larger groups of up to 20 that we’ve taken, and all have caught good numbers of fish, with the beginners feeling that they were vastly improved anglers upon their return. This really is a trip for everyone irrespective of age/fitness/experience. With the vast majority of the fishing being done from drift boats, there is no need to walk big distances, or navigate rough terrain. Over the years we have had clients that range from 16-81 years of age. While the trip is perfect for a couple of friends, a small group or a husband/wife or father/son pairing; each year some participants book without a fishing partner, leaving it to us to find someone suitable to pair with them. We work tirelessly to ensure that we pair the right people, sometimes taking several months to make the right match. 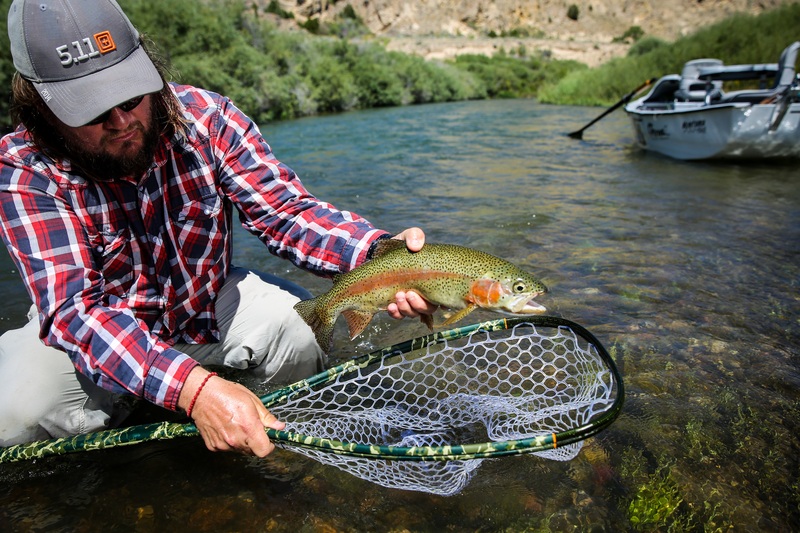 This trip is a real adventure to some of the best trout rivers on the planet. 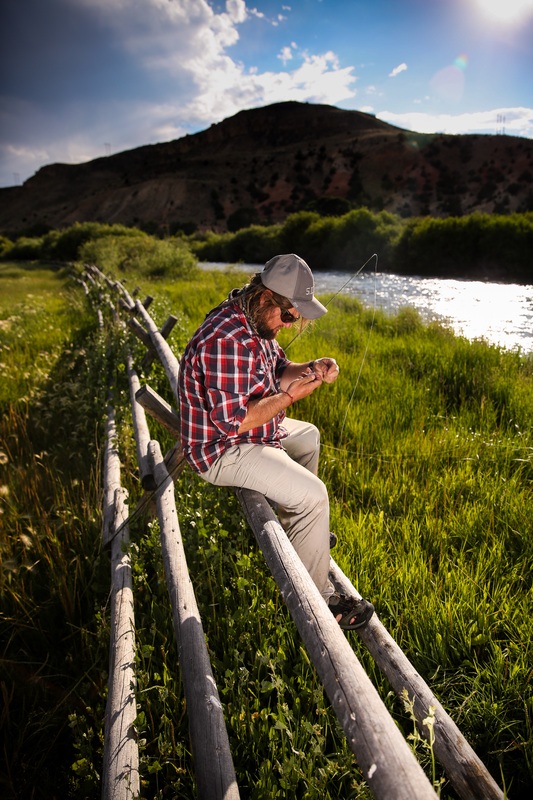 The places we visit are all rooted in the history and folklore of fly fishing. 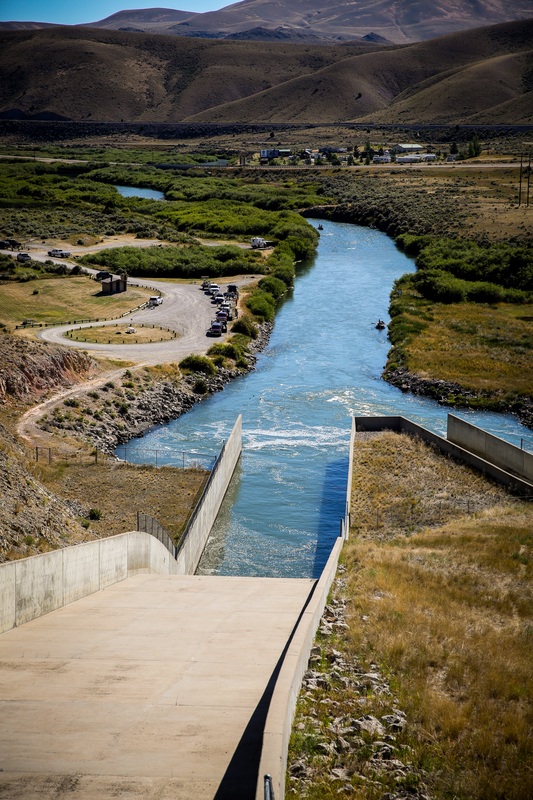 We have all read about rivers like the Missouri/Madison/Bighorn/Beaverhead/Gallatin/Henry’s Fork; as well as towns like Twin Bridges, Craig, Livingston, Island Park. All of these places are brought to life as we hit the road in search of trout, deep in the middle of the Australian winter. There is no other trip of its kind and we welcome you to phone us on 03 5773 2513 to discuss the options. SUN Arrive in Montana. We will collect you and hit the road. Flying from the east coast of Australia is a relatively simple affair. Flights to Los Angeles depart daily from all east coast capitals, and once in the USA there are lots of options to get to Bozeman, Montana. No matter your travel requirements, we can assist you to make the correct choice of flights. Without going into too much detail here, your International flights will cost anywhere between $990 and $2500 AUD (Economy) depending on which airline you fly with and whether there are any specials running at the time you book. Return domestic flights within the USA will run between $300-500 USD. Please phone us to discuss the options as we can assist you with any and all aspects of this trip. The trip price is $7,500 USD p.p. This price includes all accommodation (10 nights), 9 days of guided touring and fishing, transport and fuel. It does not include fishing licences, meals, alcohol, flies or incidental purchases. All told this trip will cost you around $10,500-11,500 USD based on the standard package and typical spending amounts. This includes airfares (both INTERNATIONAL and DOMESTIC). 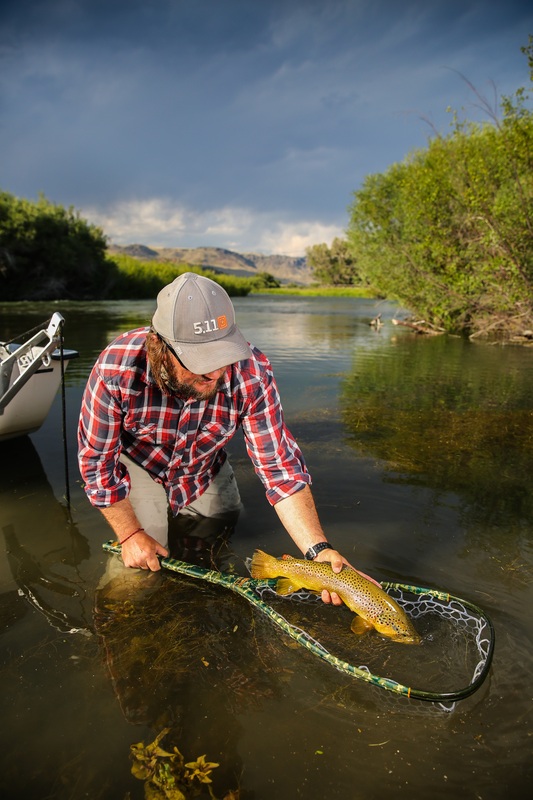 As a comparison, most fly fishing trips to destinations in the USA cost around $6000-7000 USD for a six day/seven night package for meals, guiding and accommodation. But you still have to hire a vehicle, as well as add at least 20% more in tips, plus licences, flies, alcohol etc. Plus you are tied to one region/fishery for the duration of your trip. Our trip is for ten days, tips are not required, and we are completely mobile, meaning we can move to wherever the fishing is best at the time. There is nothing even remotely like this trip on offer elsewhere. 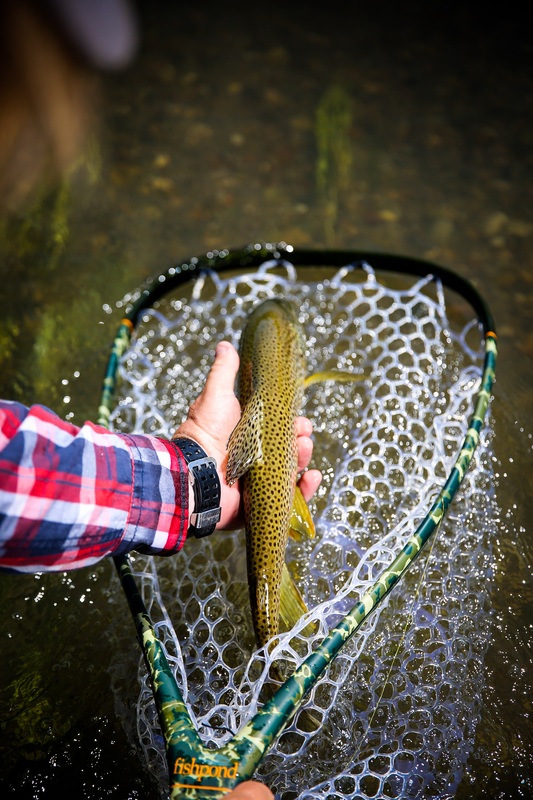 – due to our long standing relationships with many people in the fly fishing industry – we can ensure that you experience the best fishing available at the time of your trip. – we deal with all the outfitters, guides and accommodation providers in the USA on behalf of our group – meaning that you only deal with us. Transactions are with an Australian company that you can trust (24 years in business) and who you can phone/visit at any time to discuss any aspect of the trip. – we have extensive experience traveling to and from, as well as within the region (Idaho/Montana/Wyoming). 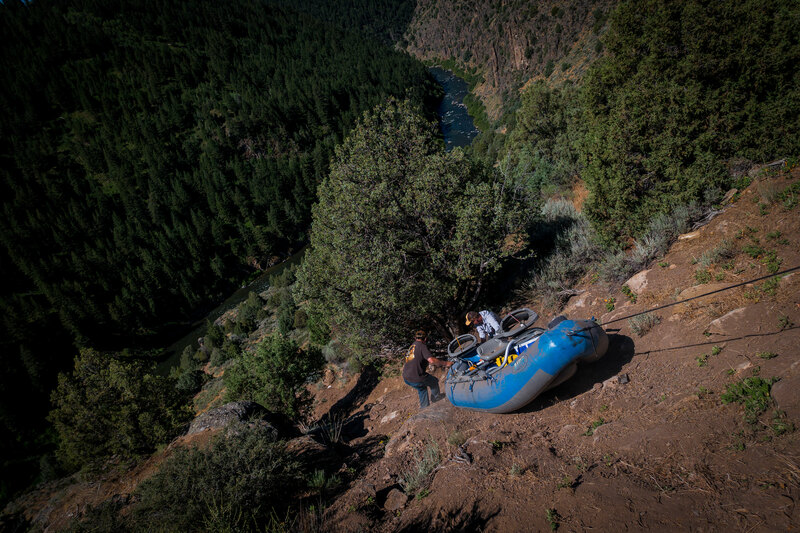 We can assist you with every aspect of the trip; from what gear to pack, to which travel insurance policies are best, and everything else in between. We also know most of the better operators across Idaho / Montana / Wyoming region and can help you to organise any extra time that you may have, either pre or post trip. 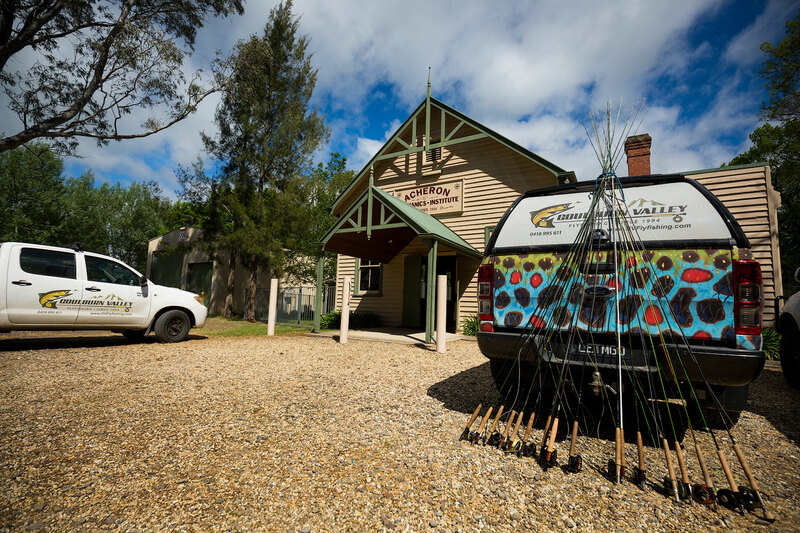 – if you are attending on your own, you will be fishing with a carefully selected group of fellow Australian fly fishers. – small group size of 4 participants. 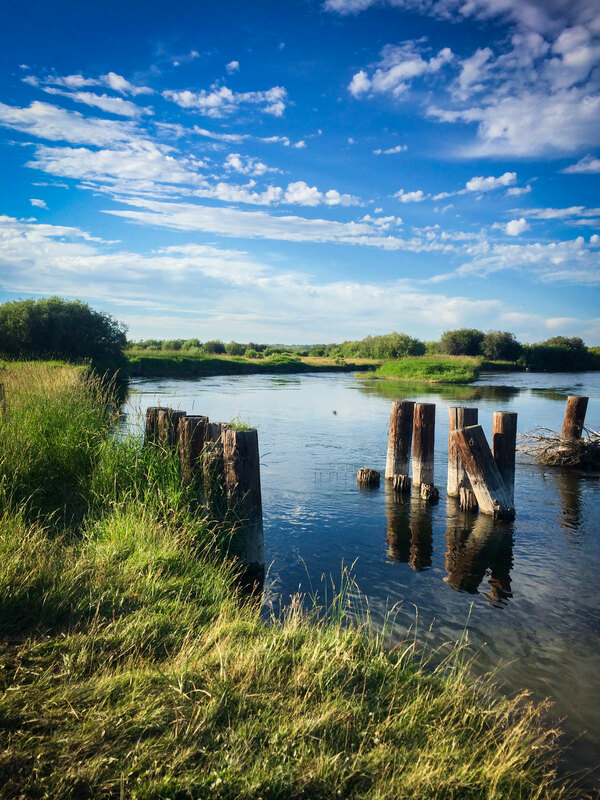 – our team will be with you for the duration of the trip; from the moment you arrive in Bozeman, to the time you depart for home ten days later. I’M INTERESTED IN GOING? WHAT DO I DO NEXT? 1. Phone us to discuss your needs and determine whether this trip is a good fit. 2. Visit the ESTA website and get a Visa waiver for travel to the USA. 3. Organise your travel insurance. 4. Book your spot by paying us either $3750 USD – 50% of $7500 USD with balance due by MAR 1, 2019; or you can pay the entire amount now if you wish to take advantage of the current exchange rate. Phone us on 03 5773 2513 with any questions that you have. We can assist you with all aspects of this trip, having lead groups there since 2010. Whether it is a question about airfares, connection times, visas, travel insurance, or even what fishing gear to pack; we can help you to make the right choices and to avoid most of the potential problems. Please feel free to phone us at anytime. 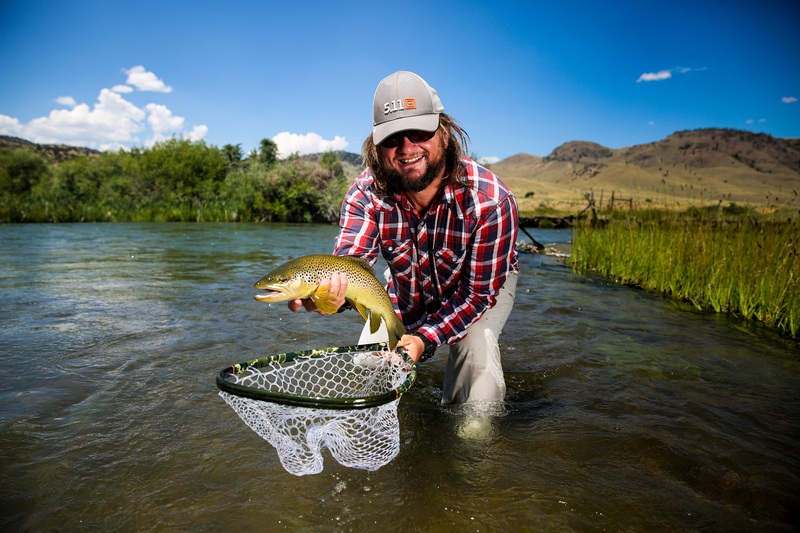 We are here to help and would love to have you join our group of Aussie fly fishers visiting Montana in July, 2019. Please view our price list by clicking here or phone us on 03 5773 2513 or 0418 995 611 for more information. We are available from 8am – 10pm, every single day of the year.